A view from the ferry to Colonsay travelling up the Sound of Islay. 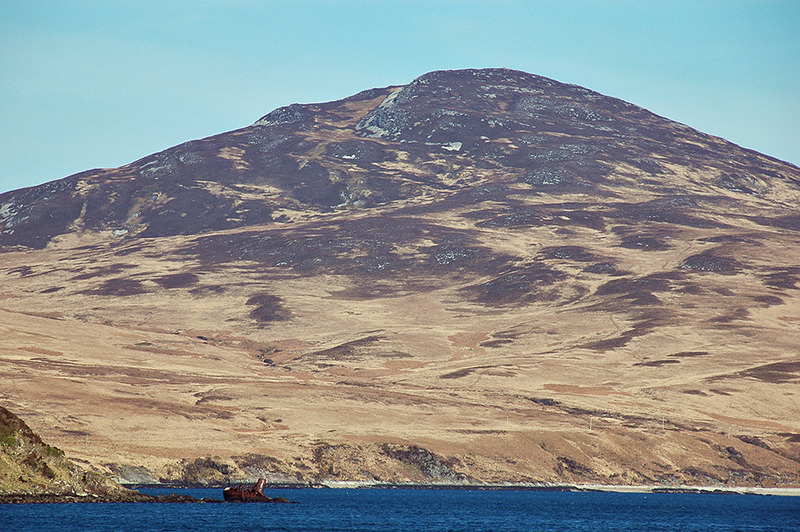 The hill is Sgarbh Breac (364m), the highest hill in the north of Islay. At the shore of the sound you can spot the wreck of the Wyre Majestic. Bunnahabhain Bay hiding behind it on the left. This entry was posted in Landscape, New Post, Sunny Weather and tagged Bunnahabhain, Islay, Sgarbh Breac, Sound of Islay, Wyre Majestic by Armin Grewe. Bookmark the permalink.